The Border Battle: Immigrants Attempt to Force Their Way Into the U.S. Featured Photograph: The news media and other illegal immigration advocates are hoping this photo will bring about a rallying cry on behalf of illegal aliens. But instead of faulting U.S. Border Patrol agents, they should wonder why a mother would bring her children into such a violent situation? U.S. Customs and Border Protection agents were forced by oncoming invaders to temporarily halt vehicle and pedestrian traffic at San Diego’s major San Ysidro port of entry between Tijuana, Mexico and the southern California city on Sunday afternoon. Border Patrol commanders made an announcement as hundreds of migrants and refugees marched towards the border in a violence-threatening demand that the U.S. government open up the border to allow thousands of so-called asylum seekers to enter Southern California, which is part of the Sanctuary State thanks to Democrats in the legislature, the government of Democratic Governor Jerry Brown — known as “moonbeam” in conservative circles — and most of the state’s Democratic Party city and town mayors. 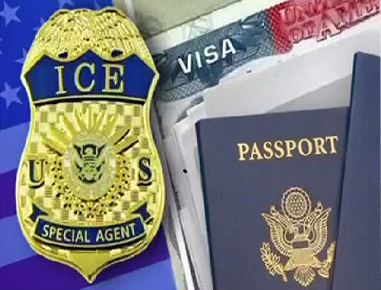 “The fact that these people are forcing their way into the U.S. should be enough to investigate what roles are being played by the Democratic Party, activist groups and the left-wing news media to assist those immigrants in breaking U.S. laws,” said former police captain Andrew Lacey, who lives near the border separating Texas and Mexico. “What gets my goat is the fact that just about every national news outlet either shows a photograph of a supposed immigrant mother hysterically screaming as she drags two small children by their arms across the ‘immigration battlefield.’ Not one reporter even asks the question about why this woman would endanger her own children, especially since warnings were issued constantly by the U.S., Mexico, and the United Nations,” said Lacey, who now works as a police consultant and training facility instructor. 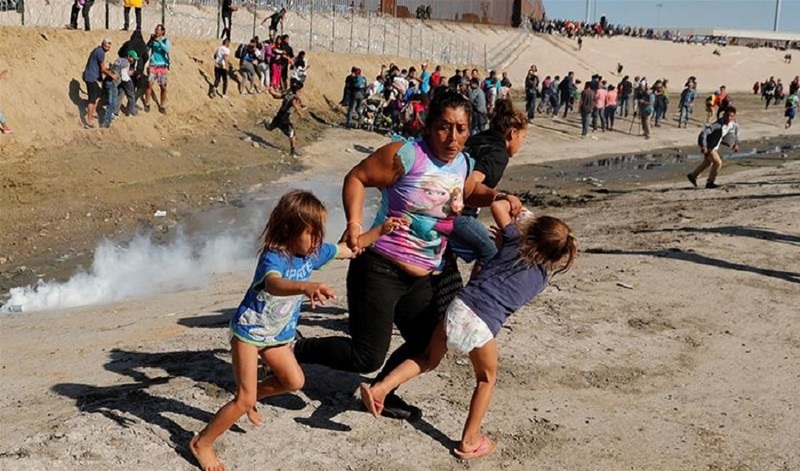 According the journalists in Tijuana, U.S. immigration officers began their use of tear gas on migrants and refugees, who approached the border fence near the Chaparral crossing. While those American journalists were clearly sympathetic to the “plight of the refugees,” their animosity towards the American law enforcement officers and the military troops is easily recognized by their clever use of vocabulary. “I would be the last person to say that U.S. newsrooms were hotbeds of intelligent and talented journalists, because they are not. But they are hotbeds of clever, indoctrinated propagandists who are all for pushing left-wing, emotionally-charged narratives,” said former New York City prosecuting attorney Lesley Gold-Addams. “They view themselves as advocates not just purveyors of honest, even-handed information,” Gold-Addams added. 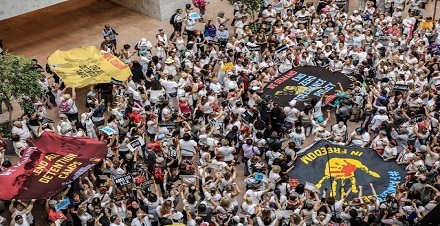 Earlier this month, an Honduran man was killed as the crackdown on migrants and refugees walking from Central America to the United States intensified at the border between Mexico and Central America. One of the immigrants, Henry Diaz, a 26-year-old Honduran, was shot in the head by a Mexican border guard who was using rubber bullets. A single shot caused a deep head wound. Diaz died on the way to a local hospital on the Mexican side of the border. Diaz part of a caravan of about 1,000 immigrants and refugees, most of them from Honduras, who, using physical force, pushed their way through the Tecun Uman crossing. Mexican police also used tear gas and reporters covering the incident claimed more than 100 people were wounded.